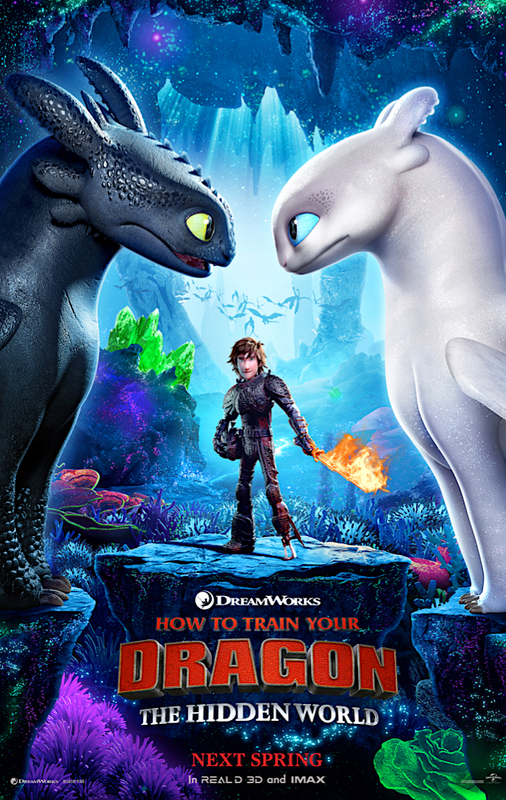 The much-anticipated conclusion to DreamWorks Animation's acclaimed trilogy isn't due in cinemas until next March, but here's your first look at HOW TO TRAIN YOUR DRAGON: THE HIDDEN WORLD. In what looks like both a thrilling and emotional final act in the series, The Viking village of Berk is now populated by both humans and dragons, and Hiccup – now the Viking leader – looks to be once again tested as he must defend them from a new threat. Meanwhile, his loyal dragon Toothless gets a love interest, a "Light Fury," which is a white version of Toothless.